Tortellini, spaghetti, linguini…pasta is a go-to comfort food. 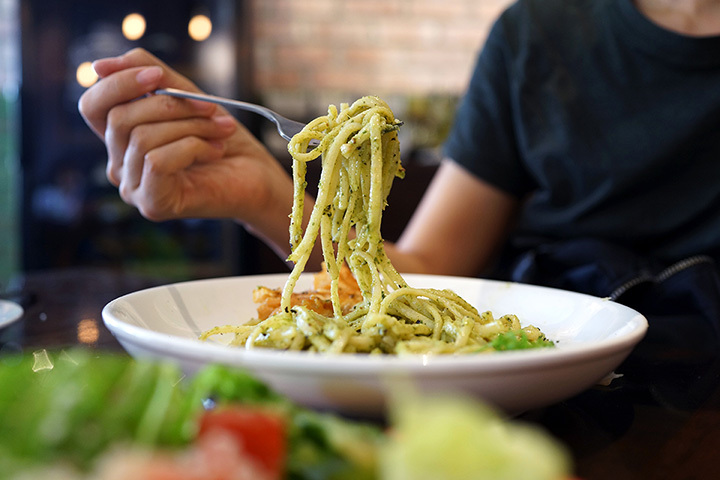 Whether you prefer your pasta doused in a white clam sauce or complemented by a classic marinara, there’s an abundance of great restaurants to find it in West Virginia. Here are the 10 best! It may take a village to raise children, but it takes family recipes handed down generations to make a good Italian restaurant great. That’s what you’ll find at Muriale’s Italian Kitchen in Fairmont, West Virginia. In operation since 1969, you’ll enter a world of authentic international cuisine and excellent customer service at Muriale’s. Open every day to give you the best foods available, you’ll find a kitchen staff that loves to please hungry diners with dishes like manicotti, gnocchi, rigatoni, linguini, spaghetti, and ravioli. With a full wine list, they also carry traditional and house specialty cocktails. A fully licenses and insured food service, you can also have them cater your next event. You don’t have to travel to Italy to experience the sights, smells, and flavor of great Italian food. Just visit Castiglia Italian Eatery in Keyser, West Virginia. This old world restaurant, opened in 1997, features gorgeous stone arches inside and out that were created by master stonemason Wes Boddy when the restaurant was remodeled a few years ago. Inside, you’ll find hand-tossed pizza, rolls, and other baked items. If you love pasta, you’ll have choices of five different types, all topped with homemade tomato sauce. And if you want to finish your meal with something sweet, try the cannoli or tiramisu. La Trattoria Italian Eatery in Martinsburg, West Virginia is a family-owned business, and has been named the #1 restaurant in the city for the last 7 years. Once you eat there, you’ll know why. With great pride in making and serving quality and homemade Italian foods, La Trattoria offers a variety of sauces to top off your choice of pasta. These choices are blush, marinara, alfredo, pink creamy, white wine, and smooth, and the pasta can be fettuccine, spaghetti, penne, linguine, and more. Add your favorite meat to the dish and you’ve got a rich, satisfying combination. It’s usually a good sign when the locals in an area frequent a restaurant. That’s the case with Mamma Mia Pie and Pasta in Elkins, West Virginia. If you live in the area and haven’t tried this great Italian eatery, you’ll probably see some of your friends and neighbors when you go. If you’re from out of town and want good homemade pasta, made to order pizza, and all the best Italian entrées, this is the place to come. You can add antipasto salad to your meal, and their garlic bread is second to none. Open every day except major holidays. What could be better than steak and pasta? That’s what you’ll find at LBV Steak & Pasta in New Cumberland, West Virginia, not far from Pittsburgh. One of the 5 restaurants that are part of the Mountaineer Casino Racetrack & Resort, LBV Steak & Pasta is open every day but Monday. You can make convenient reservations online at this upscale dining place. To add to their already extensive list of pasta varieties, they have Happy Hour on Friday and Saturday evenings, and free cannoli on select nights with the purchase of your entrée. Italian food never tasted so good as it does at Bella Vita Italian Restaurant. Located in Petersburg, West Virginia, this casual international eatery has people talking about their chicken scarpariello, antipasto salads, and white pizza, all made with fresh ingredients and served with your satisfaction in mind. Open for lunch and dinner every day except Monday, Bella Vita is knows that you can tell the difference in the taste between mediocre food and the best. That’s why they serve signature entrees like Penne Amanda made with fresh basil and garlic, and have other house-made sauces that you can select for your favorite pasta. The only regret you’ll have is remembering why you didn’t come sooner. Do you love pasta? Would you eat it by the bucket if you could? Well, you can! Just visit Undo’s in Benwood, West Virginia, and order the Ready-Sketti-Go, a bucket of linguine with your favorite sauce. You can also order baked rigatoni, cheese ravioli, manicotti, lasagna, and chicken parmigiana. If you need a caterer for your next event, they can do that, too. Sponsor of the Upper Ohio Valley Italian Heritage Festival, Undo’s has daily specials and a full buffet Tuesday through Friday for only $7.95. This could be the best deal in the area! If you’re looking for authentic Greek American food, then you have to visit Theo Yianni’s in Weirton, West Virginia. You wouldn’t think that this area of the Mountain State would have the best Greek menu in the area, but they do. Besides traditional Dolmathes (stuffed grape leaves), they have other signature dishes like spanakopita, hummus, and tiropita (Greek cheese pie). If you can’t decide and want to try more than one thing, they have an assortment of platters. If pasta is your thing, you won’t find any better spaghetti here, or another specialty dish called pastichio, a Greek lasagna made with layered noodles, ground beef, and a creamy parmesan bechemal sauce. Pasta and other old-world specialties are the main features at Minard’s Spaghetti Inn located in Clarksburg, West Virginia. You’ll feel like you’re in Italy as you dine on your favorite Italian pasta dishes surrounded by stained glass windows depicting scenes from the old country. Serving lunch and dinner every day except Monday, Minard’s has been a local icon since 1937. Using original recipes and quality ingredients, you can expect the best dining experience. Daily specials are offers, and you can order online or visit some of the local stores that carry a limited selection of products made in-house. Inspired by a visit to the beautiful Greek islands, Keith and Amy Richards fell in love with the flavors of the area and decided to bring them home to share with others. The result was Taziki’s Mediterranean Café in Morgantown, West Virginia, that opened in 1998. The menu is primarily plant-based and healthy and has grown dynamically because of the great food served there. Everything made here is designed to be healthy and give you rich exotic flavor combinations. Judge for yourself by visiting Taziki’s.